Any mining investment is risky - the key is to set up a flexable setup that can change with coin profitability changes. Right now, it appears the best DGB options are the NVidia 1070/1080 and possibly the 1080ti, running skein or groetsl (varies WHICH is better from day to day and sometimes hour to hour) - which leaves you with quite a few non-DGB coin options if profitability drops. 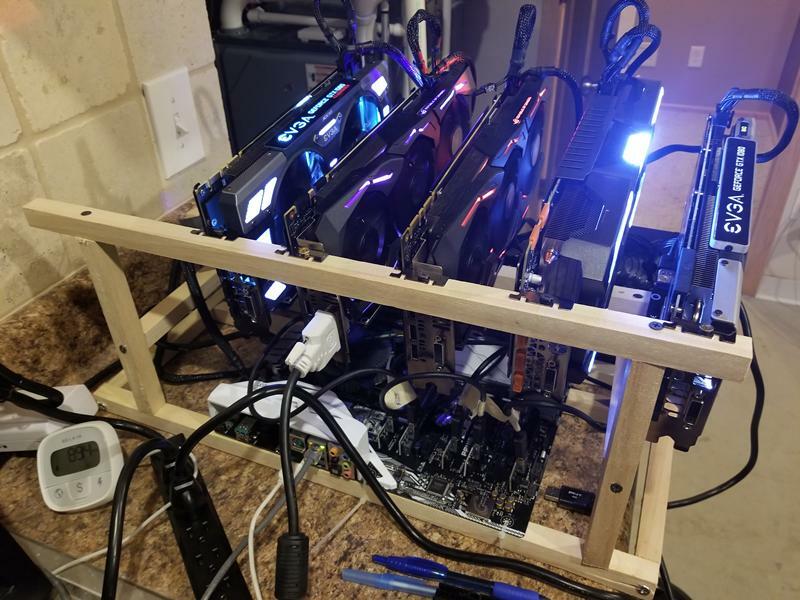 If RX 470/480/570/580 card availability and the resulting gouge pricing had not happened though, ETH on AMD would probably be better returns on a $ earned/$ spent basis. I see. Thing is, my main point is, only if necessary, sell the DGB to pay the bills. I would actually want to stack it, which seems the logic idea tbh. Anyway, seems like that if I go for a gtx 1070 and I simply drop DGB, I will be left with just some options to mine, sadly. But this is the risk you should take, hehe. Thanks! I would not recommend the 1080ti unless you have cheap electricity. You only get about 50% more hashing power than the 1080 and it uses significantly more power. I'd say cost to benefit ratio puts the 1070's at the top with the 1080's having more hashing power, but costing more than the margin you gain. So in the long run the 1080 will be more productive, but more upfront cost and take longer to pay off whereas the 1070 is cheaper upfront, but will lose out in long term production. That's with 6xGTX1080 between $500-550 each. Hashrate will be roughly 4.35GH/s with a power draw of about 1KW/hr. Break even in 68days provided price doesn't drop, less if it goes back up. You can likely get some of these parts cheaper elsewhere and drop the cost some, but this is what I got. Oh you'll need a copy of windows as well, but I assume you either have a license or can get one. This was actually a very very good tutorial, seriously! Eventually when I buy and setup everything, I will make sure to donate a piece of the first three months for you! Glad I could help. Drop me a line if you run into any troubles and I'll see if I can assist. Good luck and let's keep DGB rockin'! just wondering what i could be missing any help in this would be great! It took a while for any info to show up on the website when I started mining DGB. You'll also need to play with the miner settings to get the highest hash rate with the lowest invalid rate. What is your hardware setup? What algo and miner are you using? 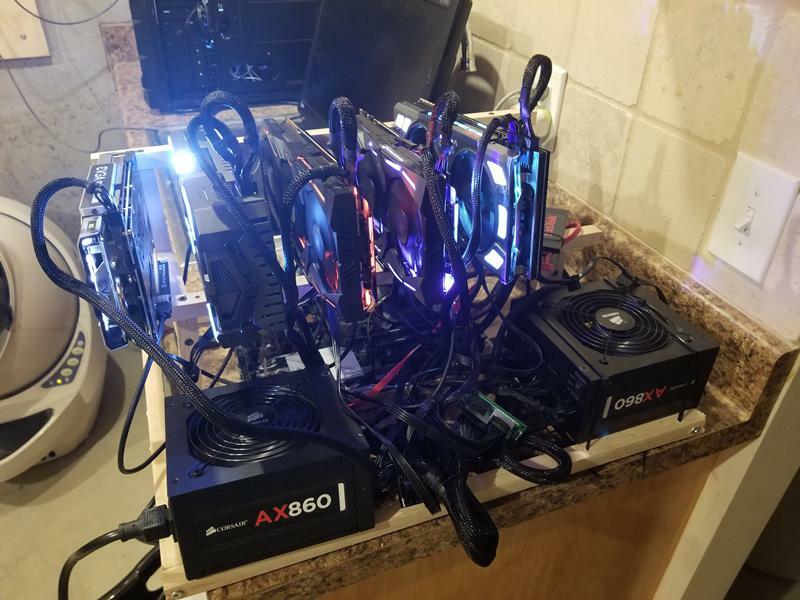 I'm running 390X's using sgminer on Groestl algo getting around 50 MH/s per card. Scrypt is the realm of ASIC and has been for years - you need to reconfigure your miner software to use skein or groetsl (if either of those work on AMD hardware, you might need a different miner version). There is NO BLOODY WAY you were getting an actual 3+ Gh/s scrypt mining rate from any GPU, I'd estimate a R9 390X actual Scypt hashrate would be closer to 1 Mh/s (perhaps a little over). Hey guys, having an issue with withdrawals on this pool that I'm wondering if anyone else has run into. I just finished setting up a wallet on Bitrrex.com for DGB. Copied the address. Logged into my theblocksfactory account, and set the auto payout transaction to 1000 DGB ( at the time i had 16** DGB ) in my account. It processed immediately and in the transaction window there is a tx ID along with the wallet address. If i search either of those things on digiexplorer I get back " No transaction found ". Its been about 30 minutes now which seems pretty long by DGB standards. Of course, naturally, the second i post this everything goes through. If you go groestl use sgminer, get the updated kernel. I dropped memory clocks on the cards as low as they would go, upped GPU clocks as high as they would go on stock voltage. I've not messed with skein. and what % of rejected do most people shoot for? so is this good or think it should be running better? How to recover this pin code? I suspect it's not too bad, given how old the GPU in the R9 39x cards are (same GPU as the R9 29x cards after all). For perspective, I think I was pulling 45-50 Mh/s ballpark on my "testing" GTX 1070 rig per card though. I strongly suspect that the R9 290(x)/390(x) are best off mining ETH or it's spinoffs at this time.